Having inspected almost 5000 homes, I have seen a lot of problems with many of these homes. Most of these problems are minor; however, there are some problems that are quite serious. One of the more common and serious problems that I see over and over again is water penetration into the home. What makes this problem so serious is that if it is left uncorrected, the water can cause serious damage to the home. Water can come from rain or it can originate from leaks in the plumbing system. Rain water can penetrate a home through the roof, through damaged siding, through unsealed windows or doors, or by soaking into siding or other wood that has been installed in direct contact with soil or concrete. Plumbing leaks can cause damage in ceilings, walls, floors, carpeting and under the home. Once wood and cellulose-based products get wet, mold and mildew begin to grow and rot starts to occur. 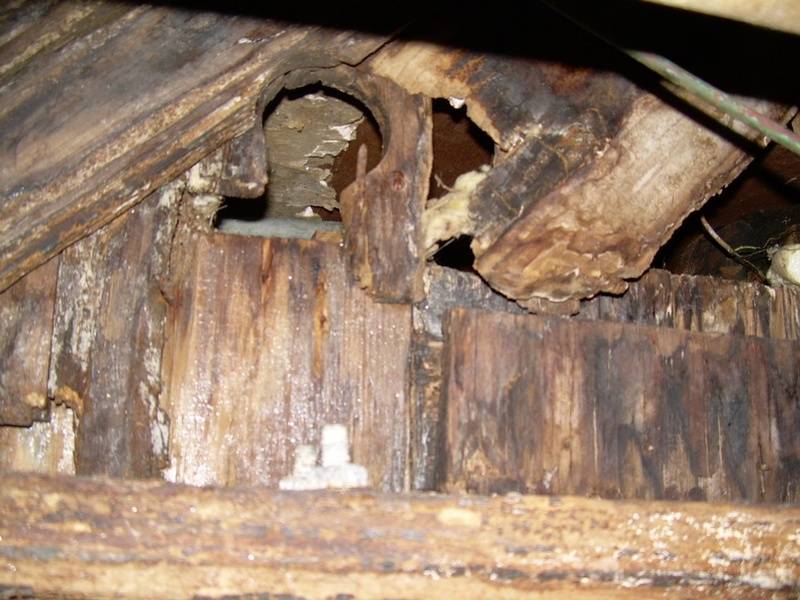 I have inspected homes that have significant rot on the structure (subfloors and joists) under the home, on the siding or other wood trim on the exterior of the home, or on the wood decking underneath the roof. In some of these cases, significant structural damage had already occurred - often requiring hundreds or thousands of dollars to repair. These defects are normally easy to prevent. With periodic inspection and maintenance, the large majority of these problems and expenses can be avoided. At lease once a year, the homeowner should fully inspect the home by looking on the roof, in the attic, in the crawlspace, and around the exterior. Look for rot, water stains, places where water can penetrate, or things, such as trees, that can easily damage a roof or siding, eventually letting water in. Next spend the time correcting any problems that you find or hire a “handyman” to correct them for you. This process may sound like a lot of work, and perhaps that is why it is neglected by so many homeowners. It is a process that is well worth the effort. Remember an ounce of prevention is worth a pound of cure. Making this process a regular part of your home maintenance plan will help to keep your home in good condition and will help to preserve your home’s value.